combination lock & coil cable. 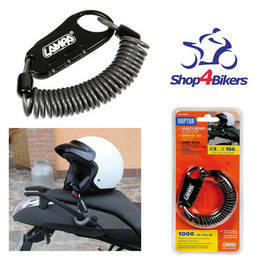 Suitable for: helmets, bicycles, motorcycles, laptops, bags, etc. Steel core cable with anti-scratch plastic cover.